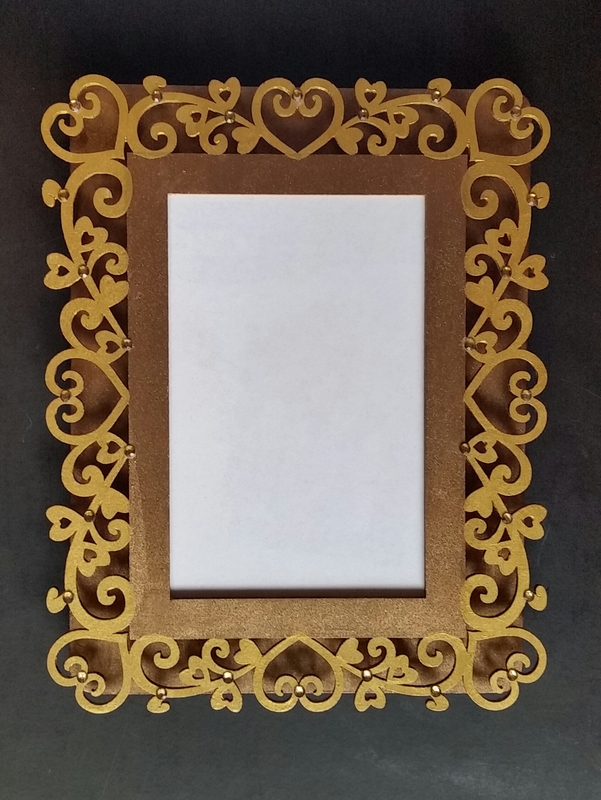 Since the month of June is customarily a popular time for weddings, I decided to share some ideas that can be used for a Framed Wedding Invitation. As many of you know from reading my blog, my personal design style for home accessories is to create customized display items that are visual reminders of those important moments in our lives. A wedding invitation specially framed would be a perfect example of this type of home decoration. A wedding is perhaps one of the most important events that a couple shares in their lifetime and there is a wide selection of wedding invitations to choose from and sometimes the process of selecting one can take time because it will set the formality, style and colors of the wedding and reception. No matter the size or shape of the wedding invitation that a couple has selected, a custom Framed Wedding Invitation can be designed to fit any room décor whether it will be hung on the wall, placed on a side table or bookshelf. 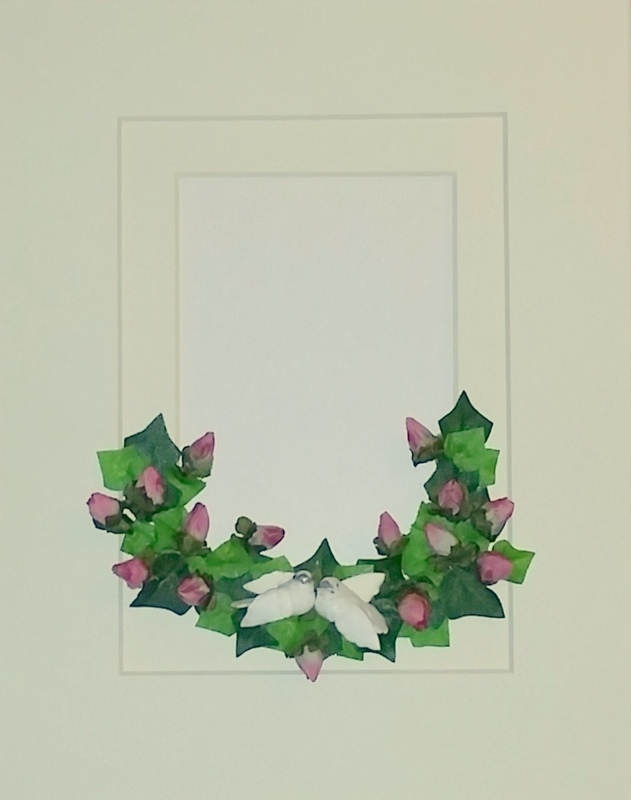 The first step in creating a Framed Wedding Invitation is to select a the perfect frame. There are numerous choices that can be found in retail and craft stores ranging from a flat frame to a shadowbox and there are numerous varieties of finishes made of wood, different types of metal, resin or porcelain. Depending on the style of the wedding invitation, you can decide if it should remain simple (just the frame and the invitation) or to create a more elaborate display with embellishments. 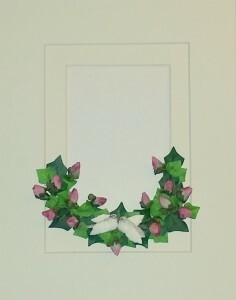 Shown below are two examples of floral embellished ideas for a Framed Wedding Invitation. The first one was made with artificial pink flowers and ivy accented with two small white doves and the second one was made using several porcelain flowers. 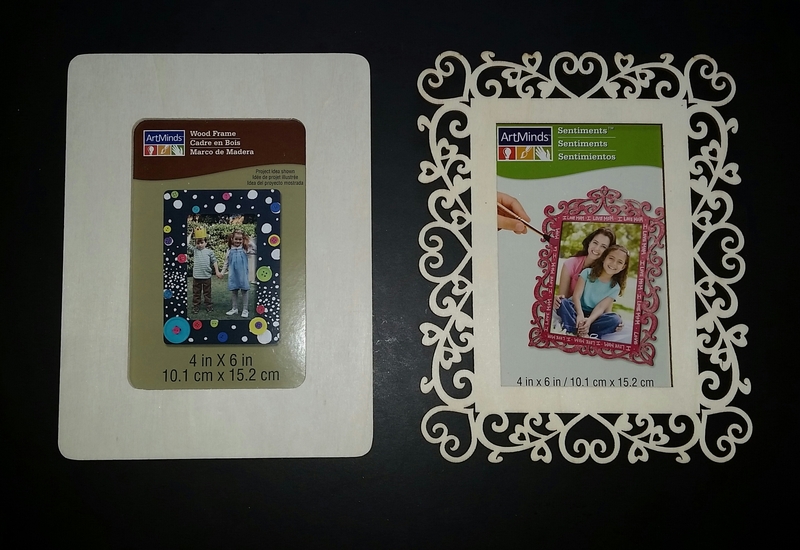 All the items were glued directly to the double ivory photo mat and were found at my local craft store. 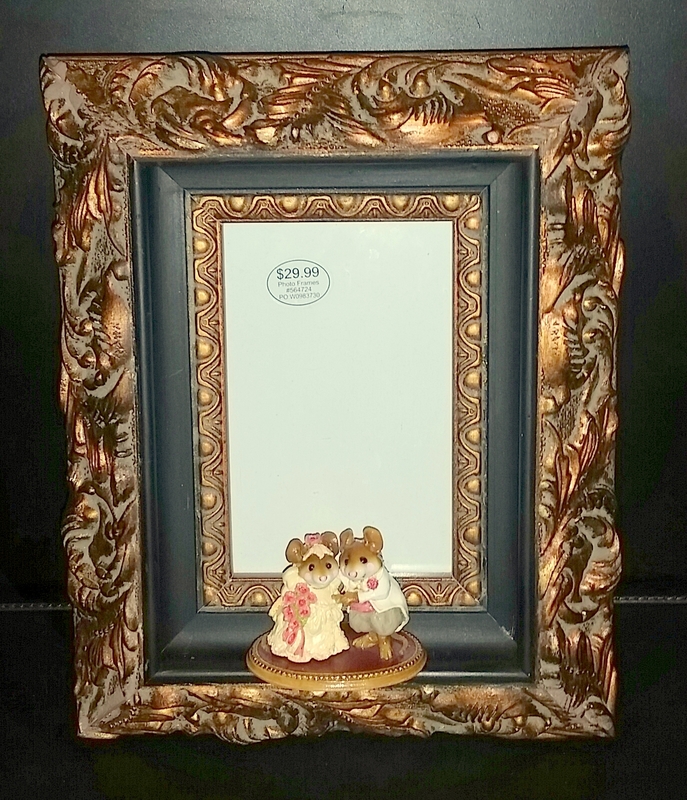 The next example features a charming little Wee Forest Folk figurine of a bride and groom mouse couple that could have been used as decoration on the wedding cake. 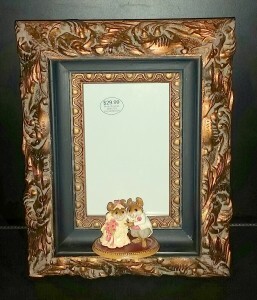 The frame that I used had a deep recessed area and I placed the figurine in the center and attached it with hot glue. I think it is a cute way to display a wedding invitation with just a touch of whimsy. Sometimes the right frame can be hand made and the example shown below features a simple craft project that I made which uses two wooden pieces. 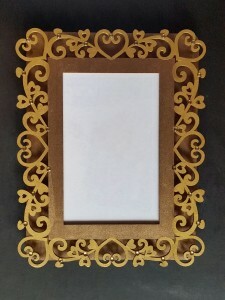 The bottom piece is a plain wooden frame and the top piece is one of the popular laser-cut frames that are currently available in any local craft store and this particular one features several hearts. To complete the project, I painted the bottom piece with bronze paint and the top piece painted in gold with a bronze border. I then glued the two pieces together and embellished the top piece with golden crystals that added a little sparkle and were the perfect finishing touch. 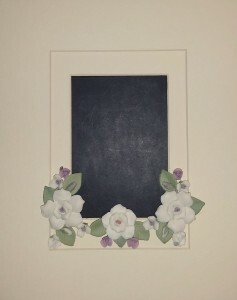 In a shadowbox with a wedding invitation set inside a mat frame display a wedding garter, the groom’s tie, a lucky penny or sixpence, a dried boutonniere or flowers from a bridal bouquet. Perhaps you can arrange the bridal veil into gentle gathers for a lovely background. Another idea using items from the wedding is to set the toasting glasses inside a shadowbox along with the matted wedding invitation, perhaps add a small bottle of wine or champagne served at the wedding ceremony. This type of Framed Wedding Invitation would look great displayed in a dining room or kitchen. One more idea using items from the wedding is to set the cake topper and cake cutting knife inside a shadowbox along with the matted wedding invitation. Usually the cake knife is engraved with the names of the bridal couple and the wedding date white a cake topper is selected to fit the style and theme of a wedding. 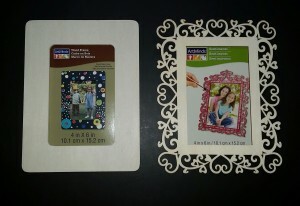 So, instead of being tucked away in a storage box think about displaying these items along with the wedding invitation. As you can see, the possibilities are only limited by your imagination!